There are many tippers to choose from when it comes to our tipper hire service and our dedicated team will help find the most suitable one for you. Our tippers come in a range of sizes, for different purposes and for different tasks, however what you can be certain of is that each vehicle is to the highest quality, is highly durable- ensuring that you won’t be disappointed by ND Brown’s tipper hire service. 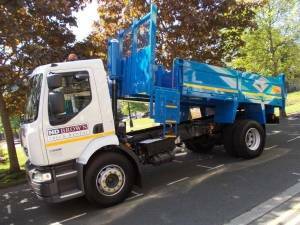 We have a great range of tippers available to hire and we are always willing to work the customer to ensure we get the most suitable tipper hire deal for you. Our tipper hires are available in a range of sizes suitable for different tasks and jobs within the tipper hire industry. Our Hire Division operates a fleet of over 450 vehicles from three depots strategically placed throughout the UK, which allows us to offer a nationwide service, so wherever you may be in the UK you will be able to use our tipper hire service. We welcome enquiries for all hire periods, you can hire a tipper for one week all the way to fours, its completely up to you and what you need from our tipper hire service. Many of our customers opt for an open ended hire termination date, thus ensuring maximum flexibility with minimum commitment. Each tipper for hire features a heavy duty drop body (to rear or side), a cab mounted amber rotating beacon and universal adjustable towing equipment. Check each model available for tipper hire for exact specifications. ND Brown’s wide range of tipper hire packages are available for long term tipper hire or short term tipper hire. For more details of our tipper hire services, please contact us on 01902 791991.